Around 30 women have been arrested in Sudan for holding a protest march over a video allegedly showing two policemen whipping a woman. The protesters were detained as they tried to hand a petition to the justice ministry in the Sudan capital of Khartoum. The video has been widely circulated on the video sharing website YouTube. The BBC reports that flogging is a common punishment in Sudan. Anyone convicted of a crime, from selling alcohol to ‘indecent dressing’ or adultery, is sentenced to lashes by Sudan’s Sharia courts. Some Sudanese officials have questioned the authenticity of the two-minute video, but Khalid al-Mubarak, from Sudan’s London embassy, described it as ‘shocking’. 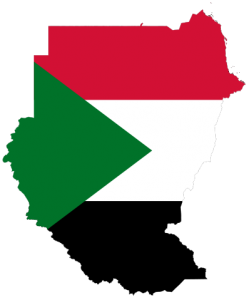 Islamic law has been implemented in Sudan since 1983. Sudan is Africa’s largest country with a population of 43.2 million people. What can we do about this? I saw the footage on channel 4 news and it left me feeling shocked and very upset. The poor young woman was crying for her mum, it broke my heart. Is there an online petition to protect the women who are protesting about this particular horrible flogging and to campaign against the wider issue of women being flogged in Sudan? It seems to be a punishment almost solely reserved for women who are deemed to have transgressed against a man made code of behaviour. Women who are privileged because we live in free(er) societies must challenge this on behalf of our oppressed sisters and daughters. Good question. Unfortunately I don’t have an answer. Does anyone else? I found this article on the net (http://www.sudantribune.com/Khartoum-continues-to-declare-war,37283) which refers to a coalition called “No to women’s oppression” but I have no idea how to get hold of them.